Published on 15 March 2012. 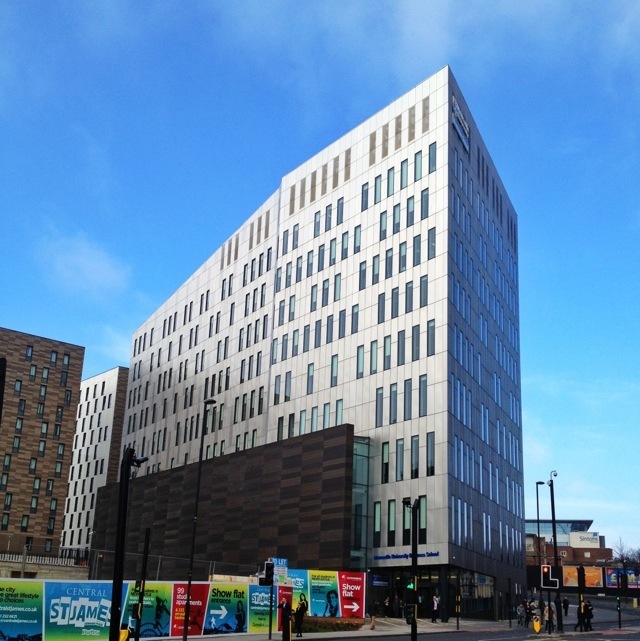 This striking building is Newcastle University’s Business School, completed last year as one of the first buildings in the £200m Downing Plaza development, which connects the city centre’s business quarter to the developing science quarter. I spent this morning here listening to Alistair Campbell, who was supposed to be talking about strategic communications, but mainly talked politics. Still, it was interesting and free, and it was lovely to be invited along! This 1,568th post was filed under: Photo-a-day 2012, University, Newcastle-upon-Tyne. Trackback received at 17:30 on 2nd October 2012.